The core concept of the festival is to be free, at least for a moment. Do what feels good and live like you want to. Relax for a moment, forget about everything, and enjoy the nature and music, make new friends, design and create. That’s why we invite all of you, free spirited people, to come and join our wolf pack. Our festival doors are open to all adventurers, artists, entertainers, musicians and players, woodworkers and swimmers, grillers and smokers… The highlight of the beauty of life is when we’re all together, sharing positive energy and knowledge, it is then that the pack becomes a tribe and W.O.L.F. the meaning of existence. Apart from the rich musical program on the main stage, camping in an oak forest, swimming in the river Karas and a number of accompanying events, the festival supports all kinds of artists and tourism, so, you can have fun in the art arena or at one of the tourist destinations in the vicinity. 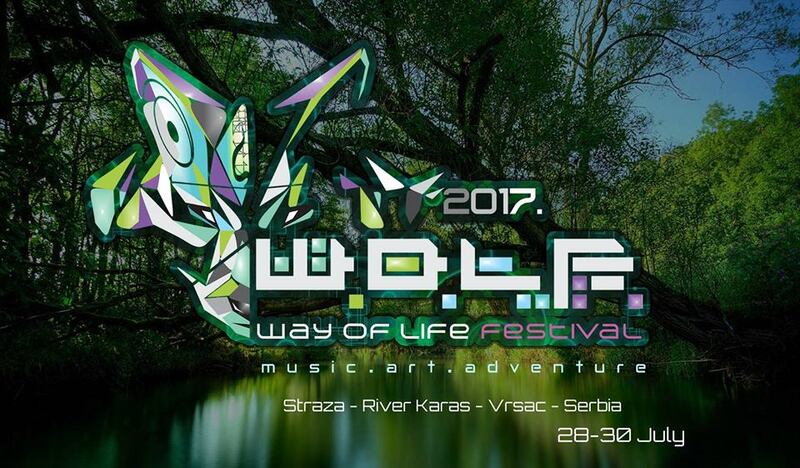 Three days and two nights we will spend together in beautiful nature beside the river Karas, Natural monument Straza in Straza, city Vrsac. WOLF – Alternativ stage is not a classic music stage, already space is created for all kinds of artists, a place where you can relax and enjoy a number of ways: Art performance, Music, Food (Barbeque, fresh fruit and cold drinks), Live Painting, Creative workshops, The Cinema and many more. More information on the program at Wolf stage will be posted soon. You want to be part of the Way of life festival, you have skills that are required to us, you want to present yourself, make your own shop at the festival, or simply want to help the organization. ☀ You enter the festival at your own risk. ☀ Kids under the age of 10 are allowed in for free, plz keep them safe! ☀ People without a wristband will be sent back outside from the festival’s site. ☀ The festival will not tolerate any acts of violence. Organized bus from Vrsac to the festival every day. LOTS OF NEW INFORMATION AND DETAILS SOON!